That is true. Unlike many Chiropractors, I was drawn to chiropractic more because the Doc’s I had been to most of my life were also Applied Kinesiologists and they could find the underlying cause of my sniffles, aches, digestive issues or whatever was ailing me. They taught me the body was a self-healing –self-organizing system and when we have a healthy nervous system the body had a better chance to correct any underlying imbalances. Because of my early experiences, I always felt Chiropractic was for much more than treating pain. Many are surprised to learn that a chiropractic adjustment addresses something called "subluxation." That is a big word that means "loss of light." 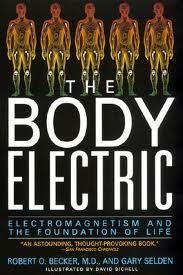 Many more are surprised to learn in addition to biochemistry the body also has an electromagnetic component. These are not separate systems but different sides of the same coin. Therapies like acupuncture and electro-therapies treat and evaluate according to the electro magnetic principles of the body.. My experience is optimal health and healing requires BOTH! In 25 years of practicing, nothing leaves me feeling more helpless than having a patient in pain that I couldn’t help. I am talking about the kind of pain that interferes with your ability to brush your teeth, drive a car, walk your dog or go to work. These are patients of every age. Many of them have been to numerous doctors–have tried the muscle relaxers, physical therapy, pain pills, Advil and even mood elevators with little or no success! They are people like you and me who only want to feel better–get back to work — play with their kids or hit a golf ball again. Through the years I’ve had moderate to good success with helping people in pain. Moderate success is not good enough. There were far more that suffered and I lost many nights sleep thinking, researching and studying new possibilities. I have experienced pain. I can remember how debilitating and diminished I felt. It almost felt shameful to have someone help me to the bathroom, help me dress or fix me my meals. Many live in chronic pain everyday of their lives. Others have had acute accidents or trauma that left them feeling like there were not many choices other than potentially addictive medications which carry many toxic side effects. 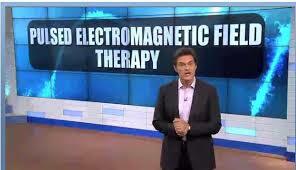 When I first saw the Dr. Oz show on pulsed electromagnetic field therapy I was relieved to learn of a non-invasive, non-toxic and often fast acting therapy that was now available in the United States. I began to look at and experience several devices to learn their differences and their applications. I met many who experienced quick and lasting relief with many of them but I still had not found the device that was right for my patients at raSa health. You see, many of my patients are chronic Lyme disease patients ridden with not only pain but the complexities of mold, heavy metal and environmental sensitivities. Their pain is often a chronic, fibromyalgia-type of pain. Others are athletic types who put the pedal to the metal every time they compete, there are those who just "got out of bed the wrong way" or helped their friend move over the weekend and now can’t move them self and ,of course, my seniors with arthritis and aging knees with chronic pain. I needed a device that would help all of them and that wasn’t easy to find. 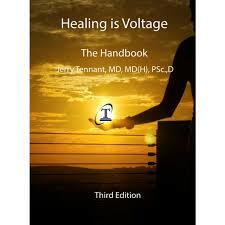 In May, I attended Dr. Klinghardt’s "Healing Your Brain Conference," in New York City and many of my colleagues were buzzing about the great relief they experienced from one treatment on a high voltage PEMF device also known as cellular exercise. I was not in any pain but I was exhausted from a grueling 3 day intensive and I thought I would give it a try. Wow! 20 minutes on this super battery charger and I felt like I could run a marathon. 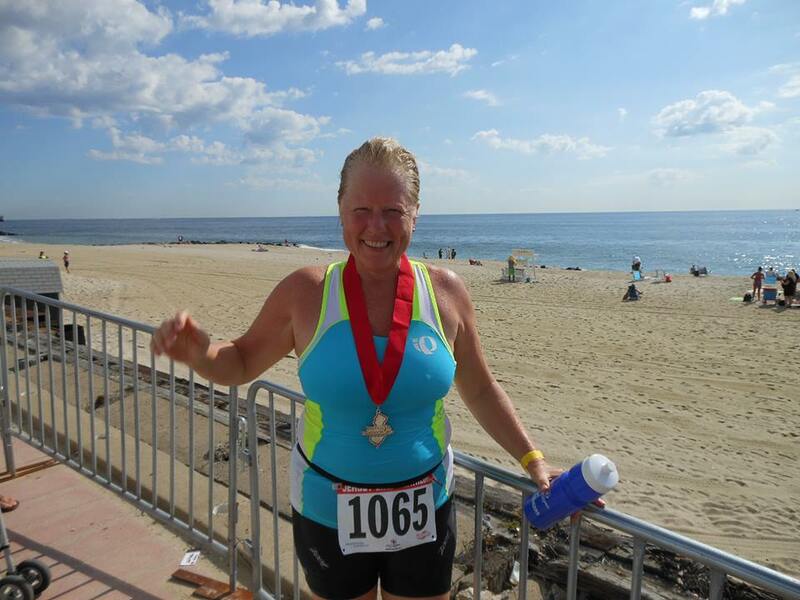 In fact I did one better and embraced a bucket list item to complete my first Triathlon. PEMF – Cellular exercise treatments were part of my training and I am happy to say I not only finished but I actually placed in a time I did not imagine possible. For the next week I couldn’t get this experience out of my mind so I decided to put this device to the test. I invited my friends, family and patients with the most debilitating pain to come in for demo treatments. Much to my amazement every one of them experienced relief. Some — 50% but many more 100%. Now, I was even more excited. I then decided to go to a practitioner’s office who was using the same device, running it 6 days a week and has a 2 month waiting list. I spent two days watching patients with frozen shoulder, sciatica, neck pain, bone on bone knee pain, fibromyalgia, autism and farmer’s with a bad wrist, hand and back. These patients not only got the relief they hoped for but they smiled after every treatment and gladly paid the practitioner as they walked out the door ready to engage in their daily busy lives. They were just glad to be helped and grateful to return to their busy lives. We have over 75 trillion cells in our body. They provide the structure for the body, take in nutrients from food, convert those nutrients into energy and carry out specialized functions. 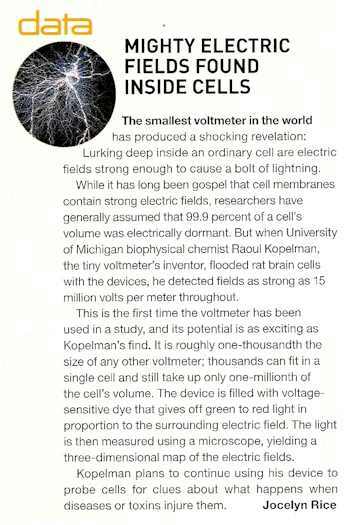 Not many folks think about the cells as electrical devices–but they are. 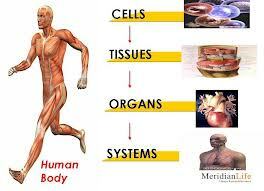 The cell membrane is the outside shell of the cell. It is very thin, ranging fro 3-8 nanometers The cell membrane is a chemical and electrical insulator. The inside and outside of the membrane hosts a pH differential. The pH differential creates a voltage, or electricity. This electricity is the power source for many essential functions in the cell membrane. Anything that compromises the cell membrane power is a probable cause or co-factor in cellular malfunction. Compromise of either the cell membrane quality or the transmembrane pH differential inhibits the electrical functions of the cell, and prevents optimal cell function. When cell membrane power is down due to lipid toxins, pathogens, or pH imbalances cells just don’t work. When cells don’t work, the body doesn’t work. In "Emerging Electromagnetic Medicine" by M.E. O’Connor, we learn of the latest research findings in the field of electromagnetic radiation. 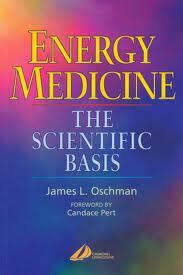 The book discusses the use of electromagnetic fields in diagnostic and therapeutic medicine. It describes the theoretical concerns and actual mechanisms involved. Individuals exposed to PEMF, or electromagnetic therapies, exhibit often striking recoveries, when energetics restore cellular immunity. PEMF exposure increases tissue oxygen availability through a variety of means, likely resulting i improved tissue oxygentation which enabled healing which would not have been otherwise possible. One study suggests pulsed fields assert differential effects on pathogens cells versus a host cells. While mammalian host cells tend to absorb pulse energy and use it, parasitic organisms, that lack energetic resonance with the host, experience stress. How does PEMF affect people with EMF sensitivity? Mark Squibb describes it this way: Individuals with electrically weak cells tend to be more sensitive to pulsed fields because their cells respond more readily to both beneficial and harmful radiation. They tend to gain energy rapidly from pulsed fields which supports cellular metabolism. Likewise they tend to resonate with harmful radiations Use of pulsed magnetic fields tends to decrease sensitivity to detrimental electromagnetic radiation by strengthening the native bio-field. There is a strong tendency for people with poor cell membrane integrity to be significantly more sensitive to electromagnetic radiation than individuals with high cell membrane integrity and optimal membrane power. Weaker cells naturally absorb energy from wherever they can, including from stray electromagnetic sources. Electrically weak individuals are more sensitive than electrically strong individuals. The difference between beneficial and detrimental exposure boils down to the tendency for an exposure to impose an unnatural resonance pattern on the cell or on the body. The unnatural resonance disrupts the natural biological processes which require the natural harmonics to operate optimally. In other words, electromagnetics which draw tissues away from their natural harmonics induce disturbances which may to disrupt cellular or systemic function. This is why cell phones (MHz), and power lines (60 Hz) tend to produce discomfort in certain individuals. These individuals generally lack the ability to resist stray harmonics, and the stray harmonics draw them into an unnatural resonance. I’ve always believed that nature holds the key to many of our questions. 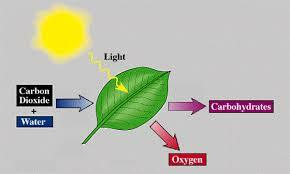 Flowers need the energy from the sun and water, plants need the same and guess what– Humans need energy too! If you want to prove that electromagnetic emissions have an effect on living systems, try putting a mouse in a microwave. This entry was posted in blog and tagged 5 Levels of Health & Healing, D.C., Dietrich Klinghardt, Functional Medicine, Lyme Disease, M.D., Pain, PEMF Pulsed electromagnetic field therapy, raindrop therapy, Sharon Rasa. Bookmark the permalink.